At Gardeners Richmond, we take pride in just how much we care about making sure your garden is well cared for and maintained to the best of our abilities. That is why we only work with truly dedicated and passionate professional gardeners to carry out our range of gardening services in Richmond. These packages can include lawn mowing and maintenance or even general tidy up options for your garden. We're even offering top of the range landscaping services. Simply call us to speak to one of our experts about the range of our services available in the TW9 region. Don’t Give Up on Your Garden! Do you regularly despair over the state of your garden? Do you wish you could wave a magic wand and either make it all go away or make it perfect and beautiful? Well, if you live in Richmond, there's no need to wave a wand, because you've got us on hand to weave our own gardening magic. We can send one of our professionals to provide you with hedge maintenance or landscaping, depending on the scale of what you need doing in your garden. From general garden maintenance TW9 to larger landscape layout planning, we've got our garden fairies ready to help with any task. Your garden may look healthy and beautiful, but can you be sure that it will survive the coming cold winter months or scorching summer holidays typical for the TW9 area? Even the most capable of Richmond gardeners can benefit from a helping hand from some professional. We have local experts on hand to help assist and advise you on your garden. They provide various garden care services at highly affordable prices. Whether you need something small or some rather more significant service, our team is ready and willing to assist you. We've been helping families make their garden a safer place for their children and pets to play in. We have local gardening experts covering Richmond and the vicinity, who can provide highly affordable services in tailor made packages perfectly suited to your needs. By either providing garden waste removal or just lawn mowing TW9, our gardeners have focused on bringing a sense of safety to gardens where children spend their time playing. Any garden in the area can be covered by our services. Most people are shocked and surprised when they realise just how much they use their garden once it's been cleaned up or entirely redesigned. If your garden is a bit of a mess, then you'll be less inclined to spend time in it. However, we're a Richmond gardening company who believes in the power of a beautiful garden! That is why we hire only seasoned professionals to deliver whatever your garden may need, whether it be landscaping or just general maintenance. If you need the very best in garden maintenance in the TW9 district, then look no further. Our reputation have been growing rapidly due to the quality and scope of our gardening services. Whatever you might be requiring, our reliable teams can come to assist you. From hedge trimming and pruning to long term lawn maintenance, we can provide any type of service. We truly are the most in-demand company in the area, so check out our website to learn more. Alternatively, you can call Gardeners Richmond today and we can advise you on the best improvements or changes that would benefit your garden the most. The best garden care service in my area is Landscaping Services Richmond. Would highly recommend! 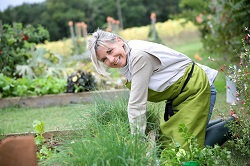 A top professional garden maintenance service. It was cheap and the team finished ahead of schedule too. What's there not to like from Landscaping Services Richmond? I always wanted a garden but my husband said it was too expensive. I got a raise at work and decided to look into getting a garden. Gardening Company Richmond made us an awesome garden design and built us a garden at a very low rate. From now on I will only ever use Gardeners Richmond for my garden care needs. They do an excellent job and work very quickly. Incredibly professional and take real pride in the work that they do. Recommended! Company name: Gardeners Richmond . 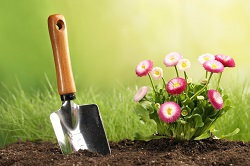 Description: Our gardening services are unparalleled in the gardening industry in Richmond, TW9. Book today by dialing and get a special offer. © Copyright 2014 - 2015 Gardeners Richmond. All Rights Reserved.